zócalo folk art is the collaboration of Kena Muyaes and Rick Hall, two experts in the field of Mexican Folk Art. 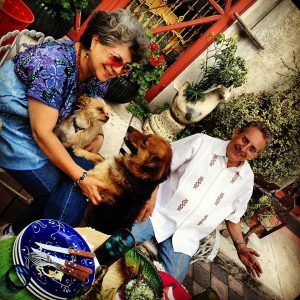 Through their combined efforts and passion for Mexico, zócalo folk art is able to offer the Finest in Contemporary Mexican Folk Art, Vintage Folk Art, Masks, Jewelry, Antiques, Furniture and Art (paintings, photographs, graphics etc. ), that Mexico has to offer. They are located in Pátzcuaro, Michoacán and are open by appointment, as well as through this website. “All items in our collection are hand selected, as we comb the country’s villages, markets and concursos (artisan competitions), looking for the finest examples produced by the best Mexican artists, as well as unusual, one of a kind pieces. We both have lifelong friendships with the artisans that we work with, affording us the opportunity to acquire the best of their creations. We not only work with private collectors and museums, but we also possess the expertise to work with designers, architects, and retailers on the wholesale level, in the purchasing of folk art, furniture, and the development of Special pieces for unique situations”. 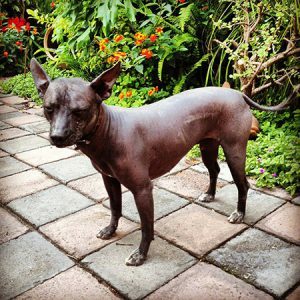 Kena began her experience as a child, working alongside her parents, Estela Ogazón and Jaled Muyaes, in El Bázar del Sábado, located in Colonia San Angel in Mexico City. Their famous Gallery, Máscaras y Milagros, is world-renowned for its collection of traditional Mexican Dance Masks and Milagro creations including crosses, boxes, Santos and frames. Kena continues in the family tradition, as she has been creating Milagro jewelry for thirty-five years. She continues to manage the Milagro Workshop, recreating the original designs of her father as well as her new dramatic creations. Kena’s unique jewelry, and pieces from the Milagro Workshop were recently featured in the Banamex exhibition “Artificios – Plata y Diseños en Mexico 1880 – 2012” in the historic Centro of Mexico City. Kena’s projects have included working with architects and designers to create Milagro encrusted doors, archways and furniture for various construction projects. She also collaborated with luxury French shoe designer Christian Louboutin, encrusting the heels of his shoes with a variety of Milagritos, for a Spring 2012 collection. Rick began his adventure with Mexico at the age of six, traveling by car with his parents and brother, to the most remote areas of Mexico, learning about the country that he would later adopt as his home. His lifelong quest for knowledge of Mexico, the Spanish language, and the acquisition of Folk Art continues to this day. In doing so, he continually fosters and strengthens friendships with the artisans and their families that he has known since his childhood. 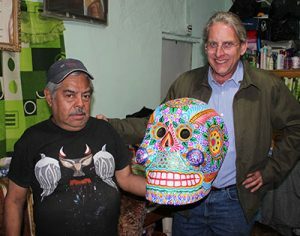 Rick has been the founder of various Folk Art venues, including zócalo in Houston, Texas and zócalo folk art in San Miguel de Allende, Guanajuato, and zócalo arte popular in Pátzcuaro, Michoacán, Mexico. He also collaborates with his family’s business, Rose Ann Hall Designs. zócalo and the artisans of México, have been involved in various projects over the years, including the cover of House & Garden magazine with the pottery of Michoacán, and also, the remake of a home on OPRAH, which resulted in the sales of over 300 glazed Clay Pineapples for one artisan. More recently, working with the White House designer for President Obama’s State Dinner, given at the White House for Mexican President Calderón, at which glazed Clay Pineapples from Michoacán and Woven Baskets from the state of México were prominently used to decorate the dining venue. Rick was also one of the beginning proponents of the Barro Sin Plomo or Lead-Free Clay projects in Mexico. Rick has also been a judge in various concursos (juried shows in Mexico). 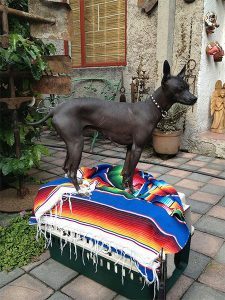 Together, Kena and Rick possess a wealth of knowledge of Mexican Folk Art, Textiles, Dance Masks, Antiques and Graphic Art, as well as their understanding and appreciation of Mexican customs and traditions. Their unique collaboration makes for one of the finest and most inclusive collections of Mexican Folk Art in the World. “We invite you to not only visit our website, but also to make an appointment to visit our private gallery and extensive collections when visiting Pátzcuaro, Michoacán”.